This follows on from the previous blog post which contains the recipe for Walnut Whip Whoopie Pies and recipes for the filling and icing. Most of the whoopie pies that Mum and I made went to my workmates. They have Mum to thank for this kindness. If it was up to me, I would have slowly but surely eaten my way through the entire lot. Mum packaged the whoopie pies up for my long trip home. It was a hot day, so to ensure that the whoopie pies kept cool on the journey, Mum placed a frozen bag of her home-made Courgette Soup on top of the cake tin (this provided my dinner when I got home!) On the way home, I sent a text to a workmate saying that everyone at work would be getting a Walnut Whip Whoopie Pie the next day. The reply I got back was that everyone got very excited at this prospect and it made their day and gave them something to look forward to. Knowing my workmates I can well imagine their excitement and the witty repartee that would have ensued from this. I took the whoopie pies to work on April Fool’s Day, which was a foolish day to take them, but it was just the way it worked out. I prepared an email to all in my team letting them know of the tin of food goodies awaiting them, then when I realised what the date was, I amended my email saying this was not an April Fool’s joke, there really was a tin full of food. 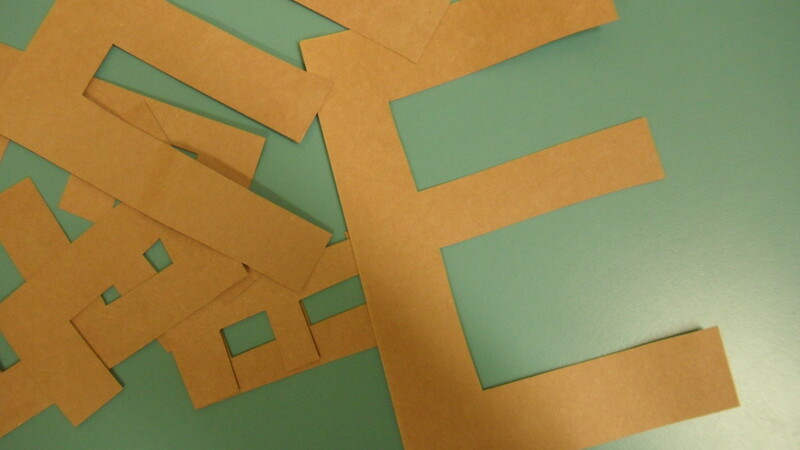 Strangely enough in a meeting the same day a colleague produced a plastic food container and said she had made some home-made brownies. 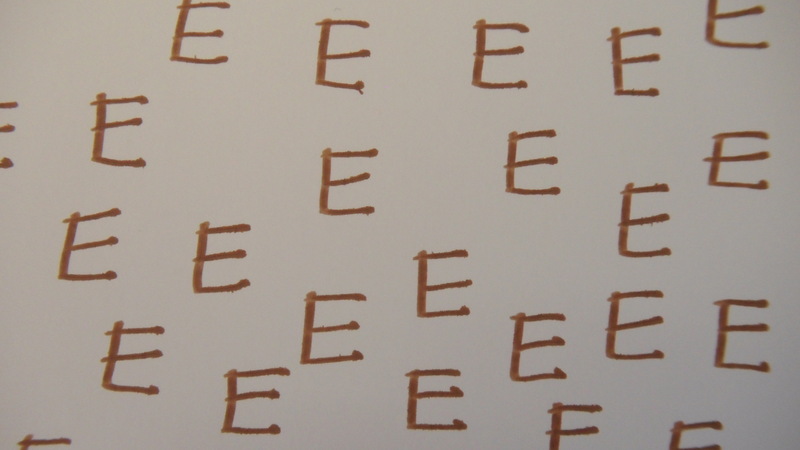 On opening the lid there were home-made brownies, but not what we were expecting – inside we found literally brown ‘E’s – brown cardboard shapes cut into the capital letter ‘E’, ranging in sizes from a few centimetres tall up to about 15 cm tall. What an April Fool’s joke! There was a multitude of reactions: some didn’t get the joke at first; some rolled their eyes; some thought it was cruel to get our hopes up, especially where food was concerned, then dash them; some thought it was funny; and I just thought it was clever and made a mental note to store this idea away for future use. I didn’t get a photo of the ‘Brown E’s’, but I made a quick sketchy reconstruction of the scene. I am glad the Brownies were just a joke because, seriously, I didn’t want anyone competing with my whoopie pies. What an outrage that would be! That was not the only April Fool’s joke of the day at work. Someone had put peppermint flavouring in the water cooler. This didn’t go down too well with thirsty workers, who thought their tastebuds were off. But that’s not all…we were informed that we were not to use the toilets in the afternoons of every second day as the powers that be were trialling water conservation measures and would be checking the water savings at the end of the week. This novel idea had people indignantly exclaiming “You have to be joking!”….and luckily they were. 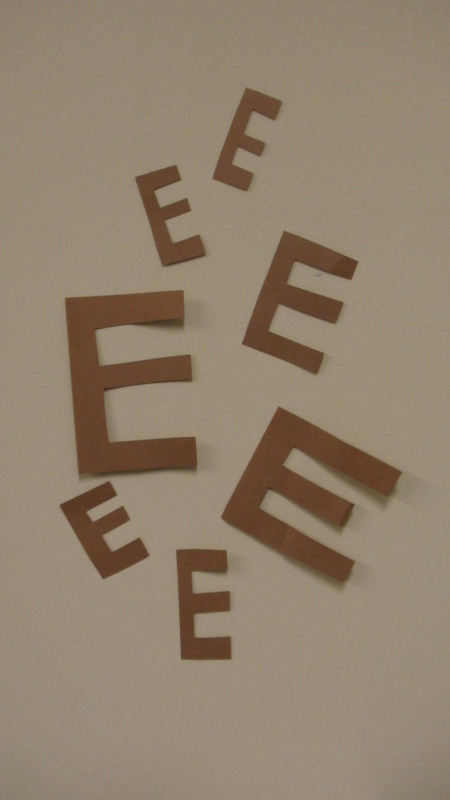 Here is a late addition – a photo of the actual brown ‘E’s. I eventually found them and snapped a quick picture.